Mixed conditions led to a cautious first session for the premier class, Hernandez heading Redding and Crutchlow as intermediates debut. 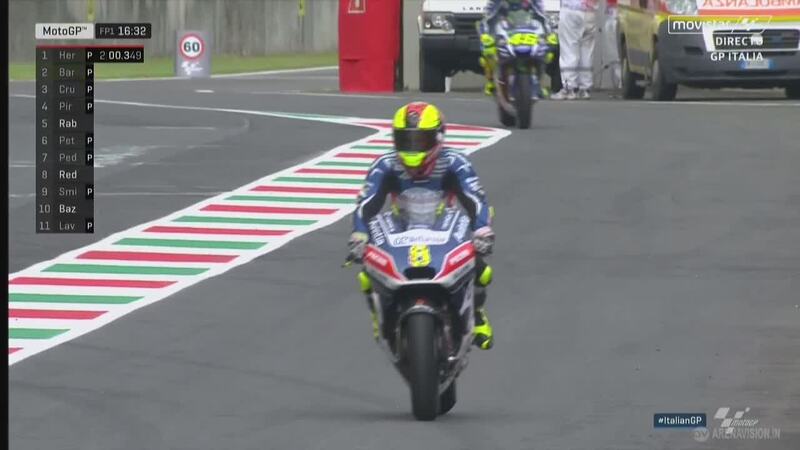 Damp conditions greeted riders in the MotoGP™ World Championship for Free Practice 1 in Mugello, everyone heading out on full wet tyres for the opening laps. 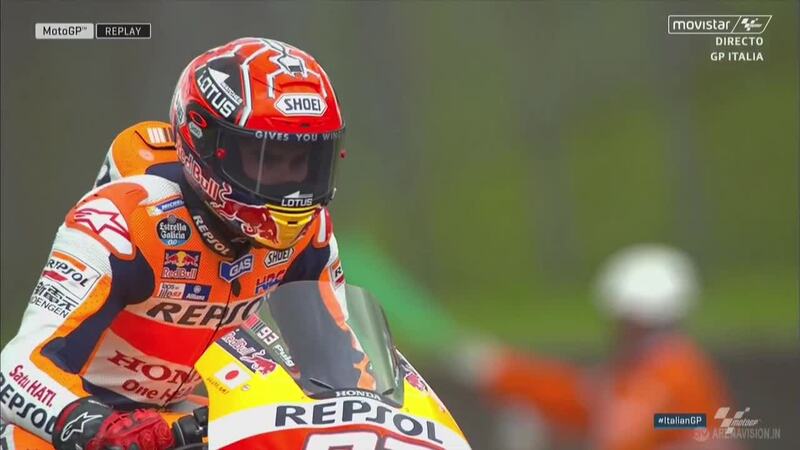 After a week full of 2017 discussions, it was back to focusing on the present, although many riders chose to wait till later in the session when conditions improved to head out. Some riders chose not to head out at all, a common occurence when conditions are mixed. Valentino Rossi (Movistar Yamaha MotoGP) used the less than ideal conditions to perform a number of practice starts out of pit lane. After burning his clutch off the start in Austin, Rossi and his team have been working a lot with the clutch and his starts. 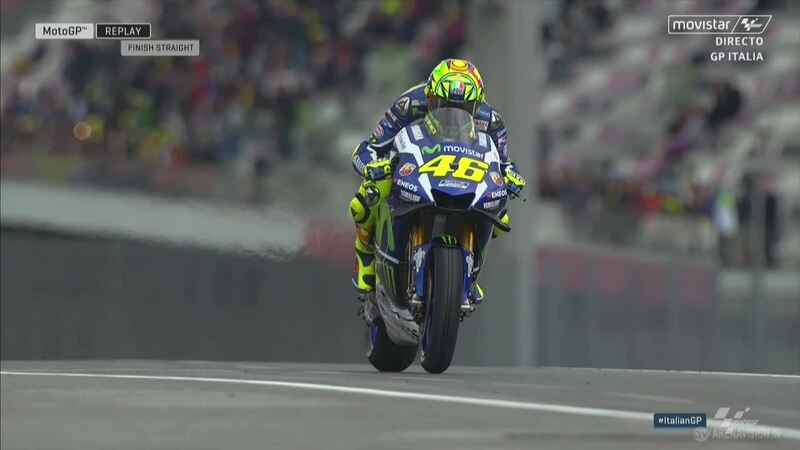 Rossi spent the entire session practicing starts, immediately returning to the pit lane and not completing a time. 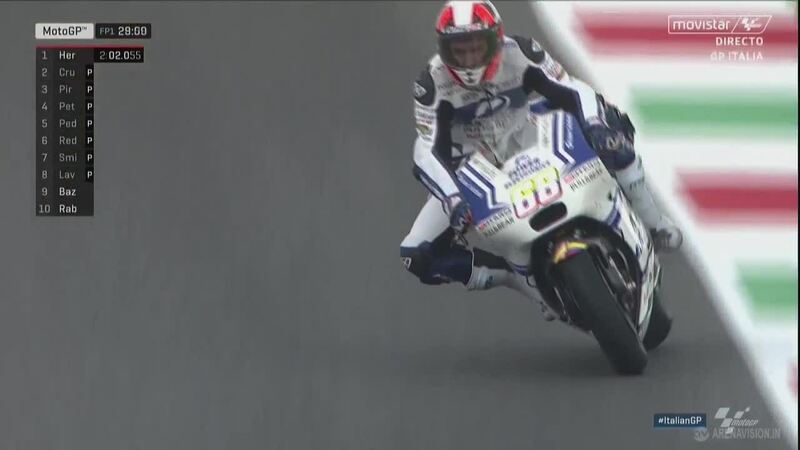 Yamaha are clearly testing something new with Rossi’s clutch, but Massimo Meregalli remained tight lipped. 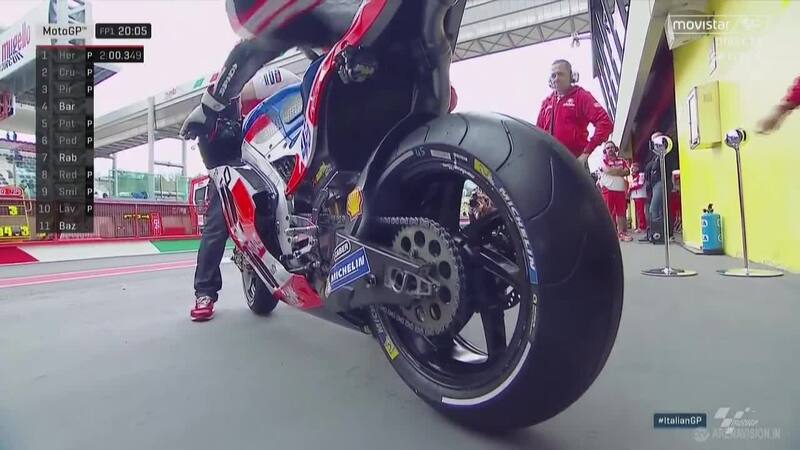 Wildcard Michele Pirro (Ducati Team) was the first rider to use Michelin’s intermediate tyres during a practice session in 2016. Scott Redding (Octo Pramac Yakhnich) joined his fellow Ducati rider and quickly went to the top of the session. Intermediates proved to be the best tyres for the situation, times dropping dramatically at the end. 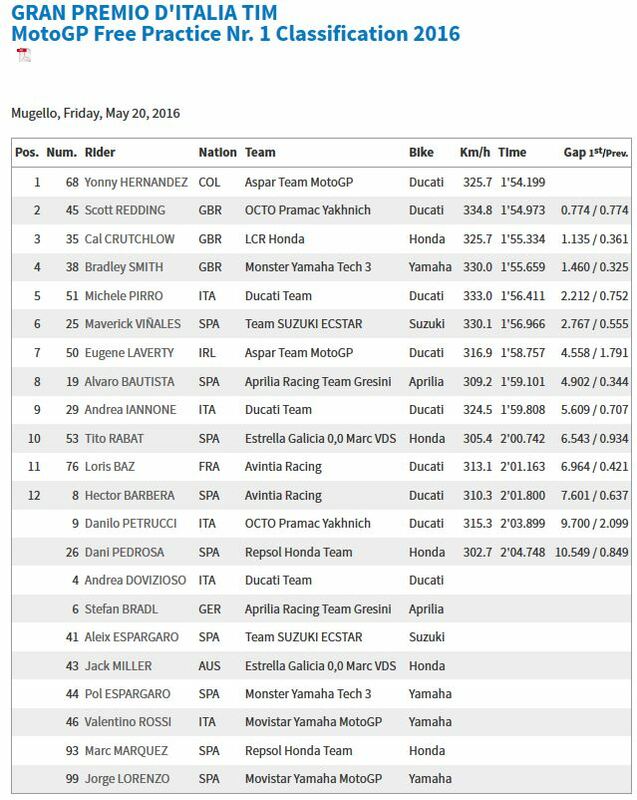 Fastest of them all was Yonny Hernandez (Aspar Team MotoGP), setting a 1’54.199 to end over half a second faster than the rest of the field. 0.774s behind Hernandez was Redding, able to improve on his last lap of the session after spending a large part of the session leading. A Ducati one-two was an almost perfect start to the Bologna factory’s home race. 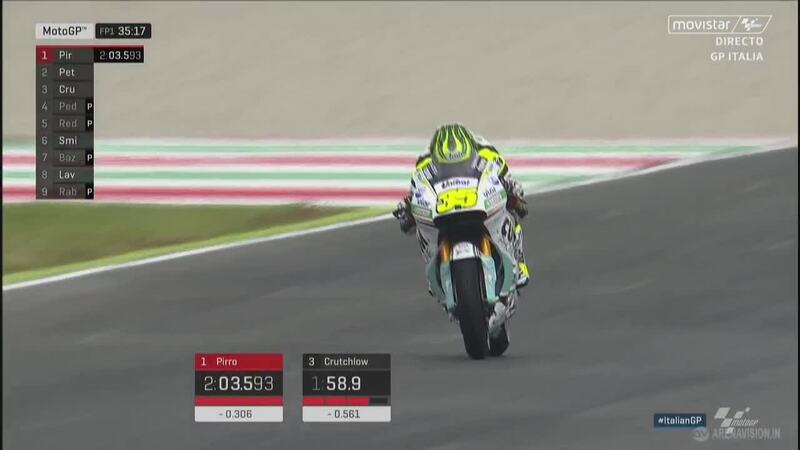 Cal Crutchlow (LCR Honda) completed the top three but was unable to get below the 1’55 barrier. Bradley Smith (Monster Yamaha Tech 3) and Michele Pirro completed the top five. 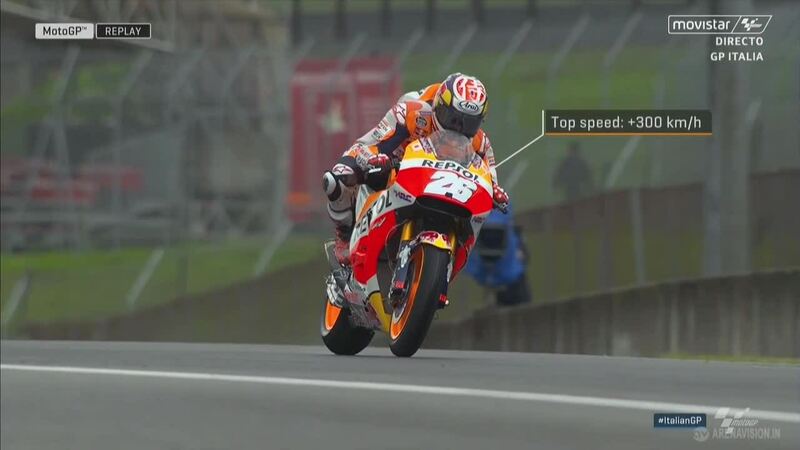 Pirro joins the MotoGP™ class as a wildcard for the Italian GP and was the leading factory Ducati. 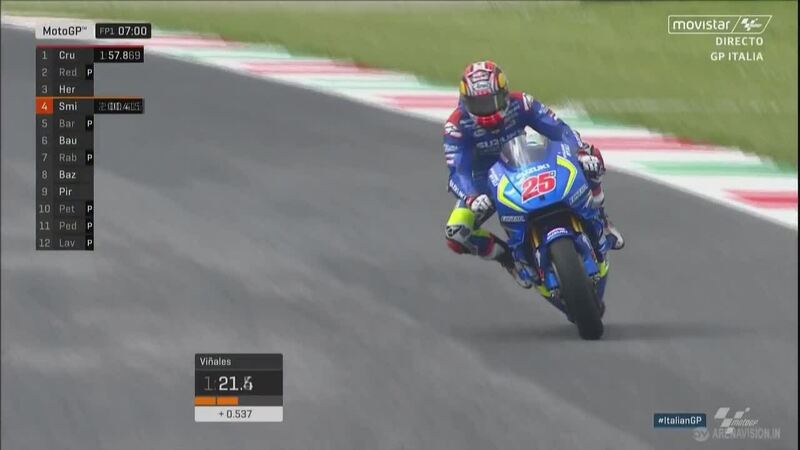 Maverick Viñales (Team Suzuki Ecstar), Eugene Laverty (Aspar Team MotoGP), Alvaro Bautista (Aprilia Racing Team Gresini), Andrea Iannone (Ducati Team) and Tito Rabat (Estrella Galicia 0,0 Marc VDS) completed the top ten.